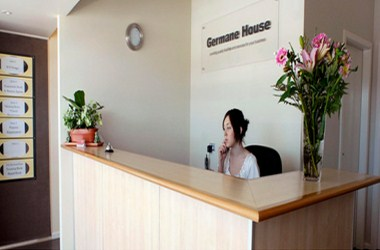 Germane House is a purpose built office complex located in the main street of Gunnedah, opposite the Post Office. Germane House offers reception and secretarial services, work stations, secure internet, lunch and lounge room and bathroom and shower amenities plus meeting and training facilities with state of the art communication systems including video conferencing. It offers a professional, relaxed environment with outstanding customer service, and flexibility to adapt to the business needs of our clients. Germane House offers a range of professional business options and solutions for your organisation in the North West region. Whether it’s a quiet place to work and focus for one, or somewhere to get together with ten clients and communicate face to face, then it is the place to do business in Gunnedah. At this venue we specialise in working with small business operators and home-based business owners. 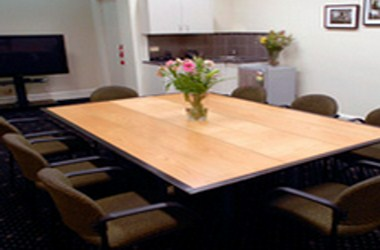 We will take care of your office and let you look after what you do best - your business. Together we can create a solid working partnership tailored specifically to meet your needs. Whether you need a boardroom or office for an urgent meeting, or want to relocate your business to a prestige central Gunnedah address, Germane House is here to provide solutions for your business.